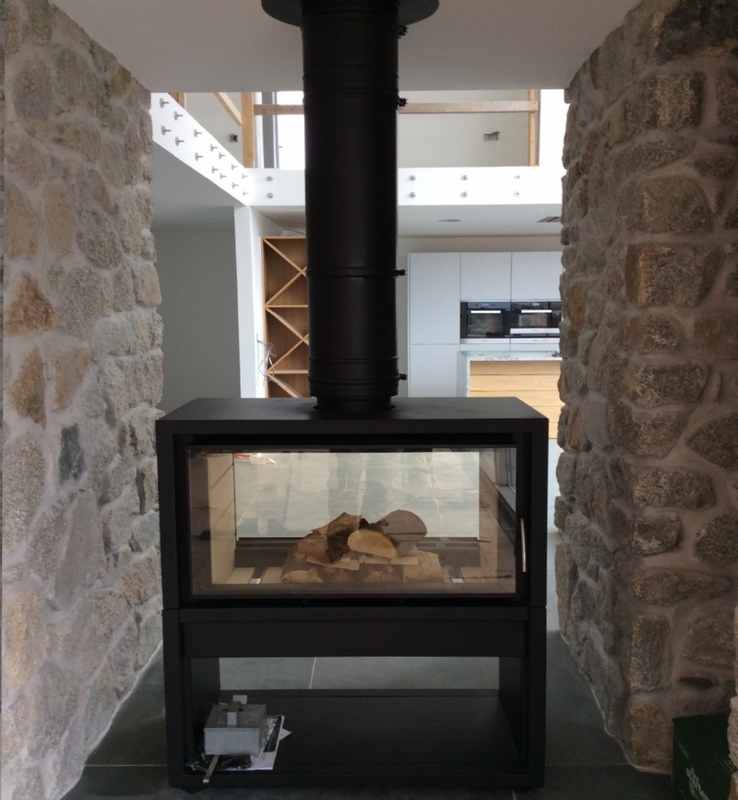 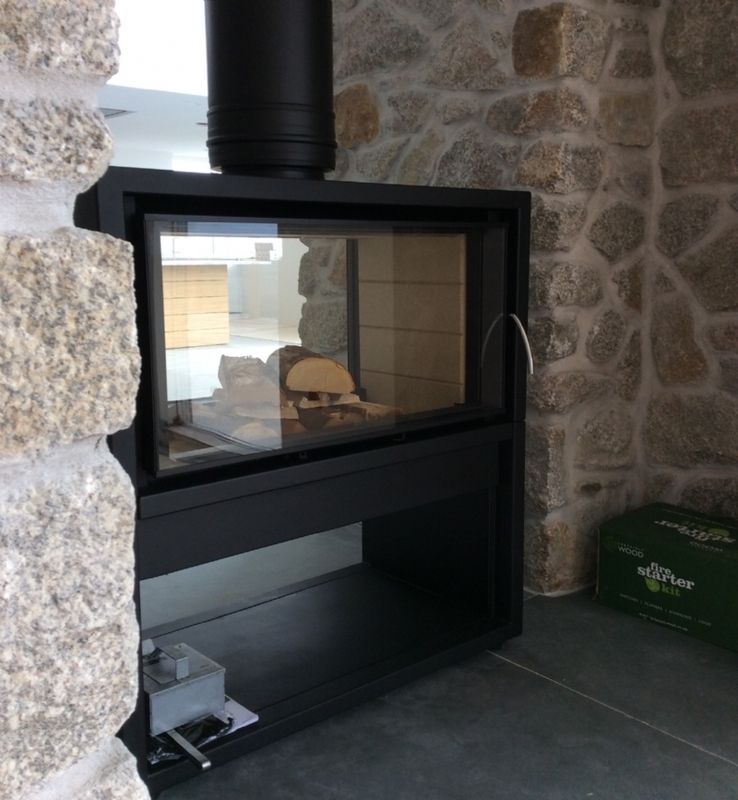 Bodart and Gonay 900d Green fitted in Cornwall wood burning stove installation from Kernow Fires. 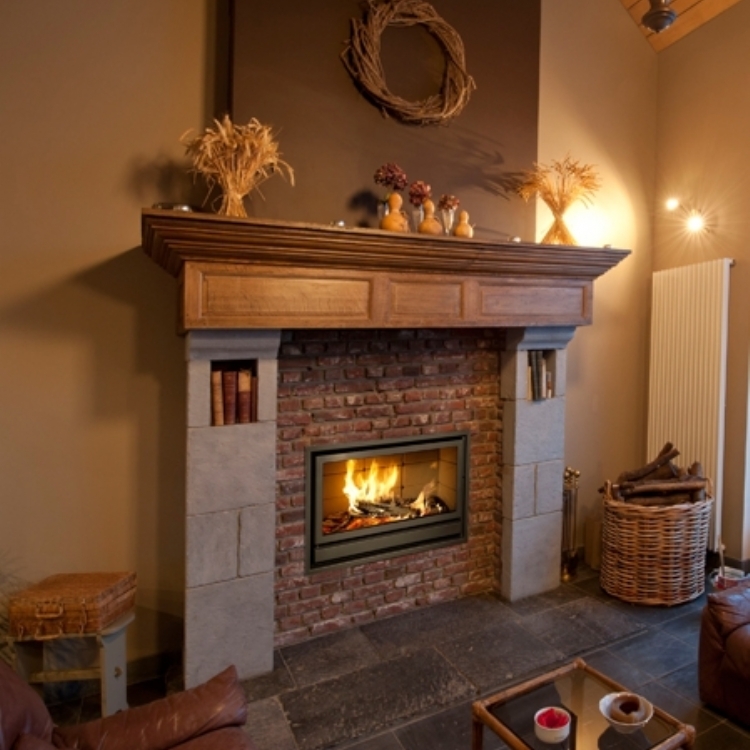 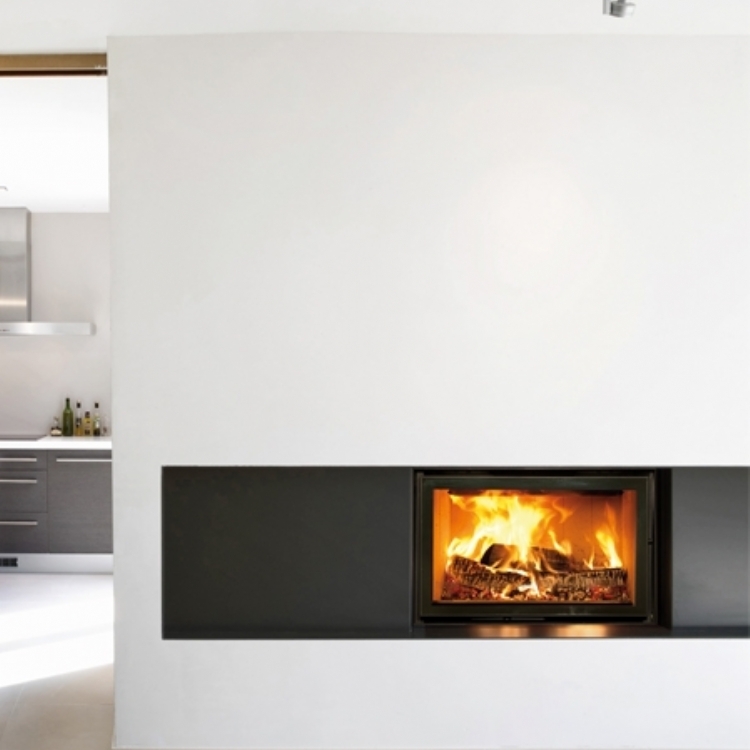 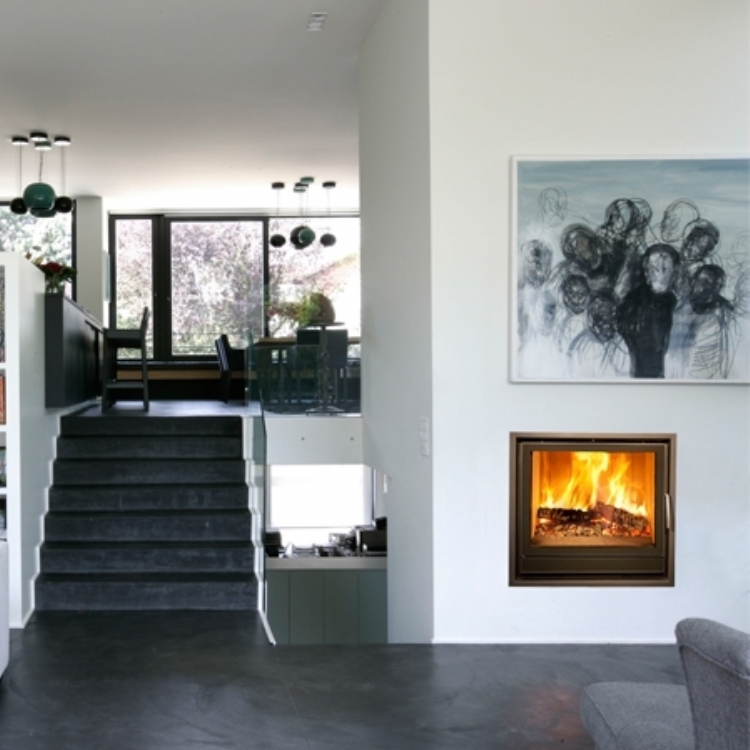 This wonderful walk through fireplace needed something bold and big create an impact and the Bodart and Gonay 900d Green does just that, creating a wonderful focal point for both rooms. 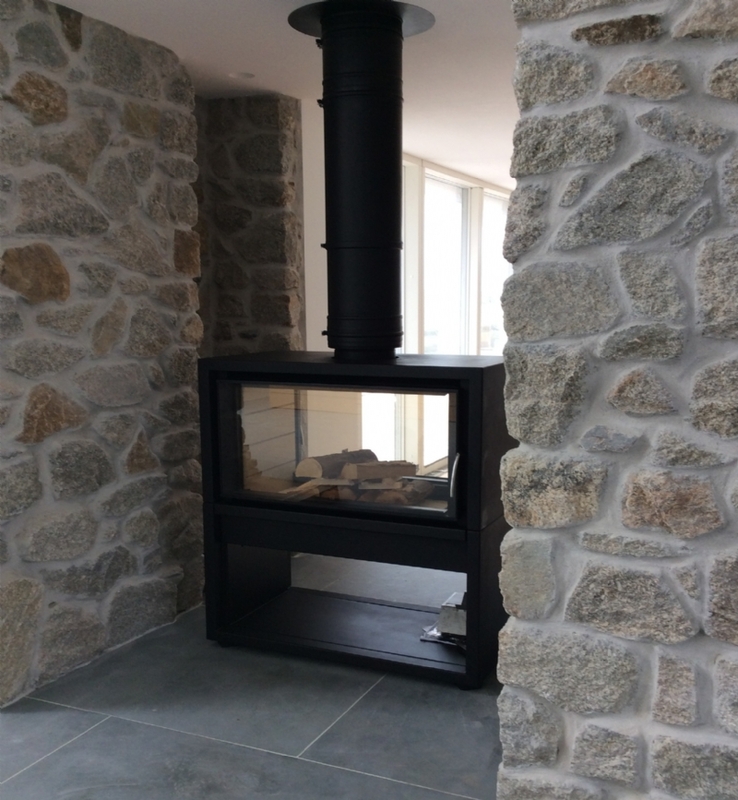 The traditional stone building needed to be handled with care and having lined the chimney with a stainless steel liner the external chimney was powder coated to complement the building.